We’re huge fans of the Olympus OM-D range, and the company are looking to reel in more photographers with a more affordable version in the shape of the Olympus OM-D E-M10. 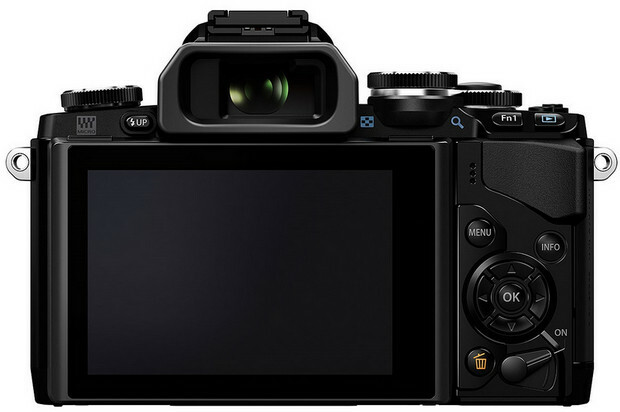 The extra-compact system camera follows the classic design lines of the OM-D E-M5 and comes with the same twin dials, built-in EVFand 16 megapixel Four Thirds sensor, while packing an improved 3-inch tiltable LCD and the same TruePic VII image processor and WiFi technology seen in the flagship E-M1. To keep the price low, the 5-axis image stabilisation goes down to a 3-point affair, and this model loses the weather sealing too, but gains ultrafast autofocus FAST AF, and – finally! – a pop-up flash. The E-M10 is available with two lens kits from early February, 2014. The body without a lens will cost £529.99, while a bundled package with the new, super-slim M.ZUIKO DIGITAL ED 14-42mm 1:3.5-5.6 EZ electronic zoom lens will retail for £699.99. The ECG-1 matching ergonomic grip will retail for £54.99, and the new BCL-0980 9mm Fish-Eye Body Cap lens will cost £89.99. We think this looks to be a great value camera, offering just about all of the highly usable features of the E-M5 while adding a few new ones of its own in the shape of wi-fi and an improved LCD screen. We’ll look forward to trying one out soon. 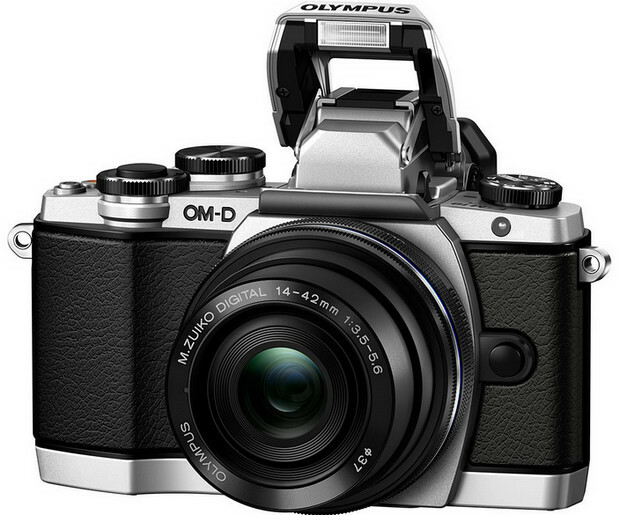 London, 29 January 2014 – Olympus’ multiple award-winning OM-D family has a new member: the E-M10. The striking newcomer combines the fine image quality, classic styling and focusing speed of the E-M5 with the sheer power of the flagship E-M1, albeit in an extremely compact all-metal casing. In fact, the casing makes the E-M10 something of a design paradox. It looks and feels like a DSLR, and it even comes with the same TruePic VII image processor and WiFi technology as the E-M1. But it’s a fraction of the size. For discerning hobby photographers looking for a powerful camera they can use every day, it’s the OM-D of choice. Despite the compact dimensions and potent components, the E-M10 makes room for a large, high-speed electronic viewfinder, 1.440.000-dot, 3-inch tiltable LCD, 3-axis image stabilisation, ultrafast autofocus FAST AF – and one simple addition that practical-thinking owners will love: a pop-up flash. This typifies Olympus’ ergonomic, user-oriented approach to design, which ensures the E-M10 sits sturdily in your hand and is easy to operate, despite its small size. The E-M10 is available with two lens kits from early February, 2014. With the new, super-slim M.ZUIKO DIGITAL ED 14-42mm 1:3.5-5.6 EZ electronic zoom lens for £699.99. The body without a lens will cost £529.99. Notwithstanding the accessible price and practical dimensions, there’s no mistaking the E-M10’s specialist OM-D credentials. The latest addition to Olympus’ flagship range is above all a camera for people who appreciate stills and movies in exceptional quality. But it will also attract attention from discerning photographers with an eye – and feel – for beautiful, ergonomic design. Where comparable DSLR cameras use moulded plastics to reduce weight, the E-M10 is housed in a bold, all-metal body that delivers the authentic aesthetic and robust finish of a top-of-the-range camera. The E-M10 is a statement. Its owner will enjoy holding what looks and handles like a substantial piece of photographic equipment. But for the Micro Four Thirds category, it’s still relatively small. Especially with the new M.ZUIKO DIGITAL 14-42mm 1:3.5-5.6 EZ electronic standard lens attached. Measured from the viewfinder to the rim of the lens, at 63,9mm the whole E-M10 casing has about the same total depth as the casing of so-called “slim” DSLR rivals on their own – before adding a lens. The E-M10 shares the first-class OM-D imaging pedigree, as well as Olympus’ extensive range of Micro Four Thirds M.ZUIKO DIGITAL lenses. As independent reviews have noted, images generated by its 16-Megapixel Live MOS sensor (in the OM-D E-M5) are more than a match for comparable DSLRs. 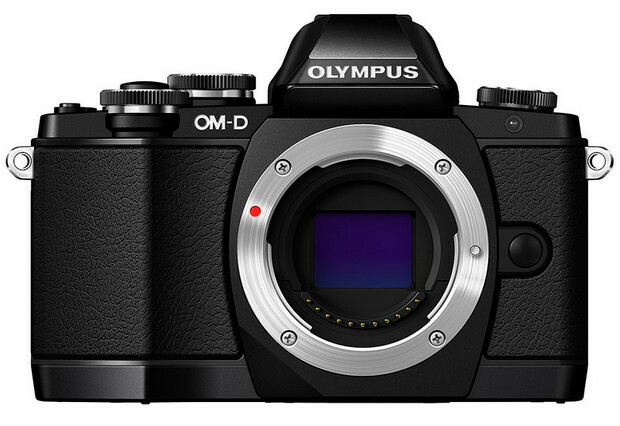 By combining this sensor with the next-generation TruePic VII processor from the flagship OM-D E-M1, Olympus’ optical engineers have put top-notch imaging potential in E-M10 owners’ hands. TruePic VII has the power to get the very best out of high performance optics. For example, it incorporates Fine Detail II Technology that adapts processing to the characteristics of individual lenses and aperture settings. Another strength is a moiré removal feature that is specially suited to digital cameras that don’t incorporate a low-pass filter. E-M10 image quality also benefits from an in-body 3-axis image stabilisation system derived from the world-first 5-axis system in the E-M5 and E-M1. The 3-axis version effectively counteracts yaw, roll and pitch with both still shots and HD movies, irrespective of the lens attached to the camera and even in poor lighting conditions or using an exposure of 1/15 of a second or less. Perhaps not all E-M10 owners will grasp the inner workings of these advanced technologies, but without exception they will appreciate the excellence of the images their camera delivers as a result. E-M10 well suited to shooting sport, animals and other fleeting subjects. FAST AF is Olympus’ fastest ever AF system and uses 81 target areas that cover the whole image. It also encompasses the Small AF Target and Super Spot AF modes that make it possible to zoom in and focus accurately on minute sections of the frame. Complementing FAST AF, the E-M10 is capable of sequential shooting at 8fps, beating the 4-5fps of most of its category rivals. In addition to the pop-up flash, the E-M10 comes with built-in WiFi, so it can communicate directly with compatible smartphones and send selected images directly to websites and social media. Alternatively, the phone can be used as a remote control to avoid accidentally nudging the camera during long exposures. After pairing via a QR code, it mirrors the Live View LCD, allowing the owner to focus and release the shutter remotely via WiFi (in P, A, S, M and Art Filter modes). In conjunction with the new M.ZUIKO DIGITAL 14-42mm 1:3.5-5.6 EZ electronic standard lens, compatible smartphones can also be used to zoom in and out remotely. Of course, E-M10 owners can tap the creative potential and flexibility of Olympus’ 35-strong family of interchangeable specialist mirrorless lenses*, currently the world’s largest mirrorless range. With the introduction of two new models, the Micro Four Thirds line-up has grown to 15. The super-slim M.ZUIKO DIGITAL 14-42mm 1:3.5-5.6 EZ pancake zoom lens measures just 22.5mm deep, making it the world’s slimmest standard zoom kit lens*. It has a smooth electric zoom that is suitable for shooting movies. The super-bright, lightweight, high-performance M.ZUIKO DIGITAL 25mm 1:1.8 lens has a fixed focal length and is ideal for capturing portraits or close-ups from as little as 25cm. Both new lenses will be available from March, priced at £369.99 for the M.ZUIKO 25mm 1:1.8 lens and £299.99 for the M.ZUIKO DIGITAL 14-42mm 1:3.5-5.6 EZ pancake zoom lens. 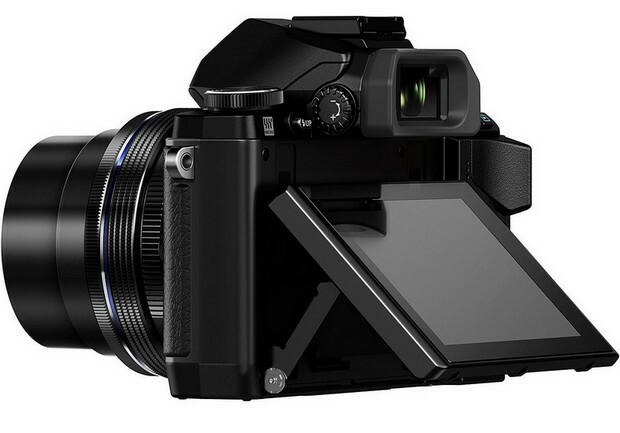 The E-M10 body is available in black or silver for £529.99 from mid-February, 2014. Alternatively it comes as a kit with the new extra-slim black M.ZUIKO DIGITAL 14-42mm 1:3.5-5.6 EZ pancake electronic zoom lens for £699.99.